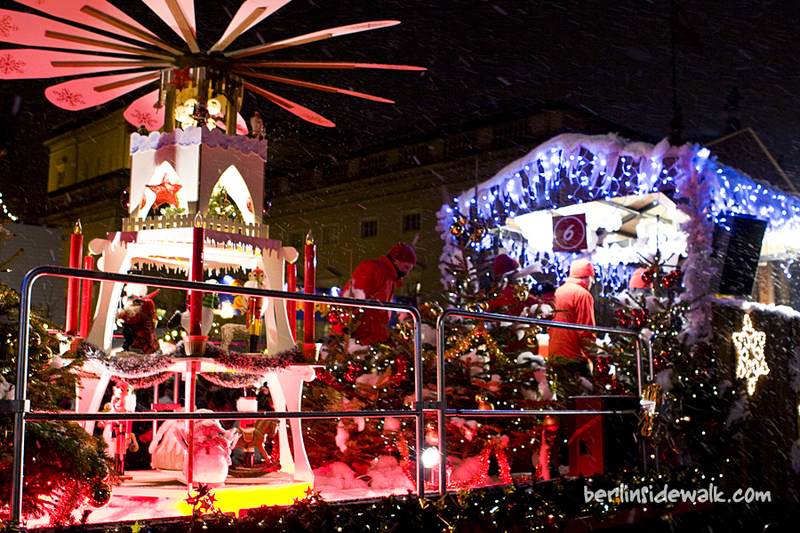 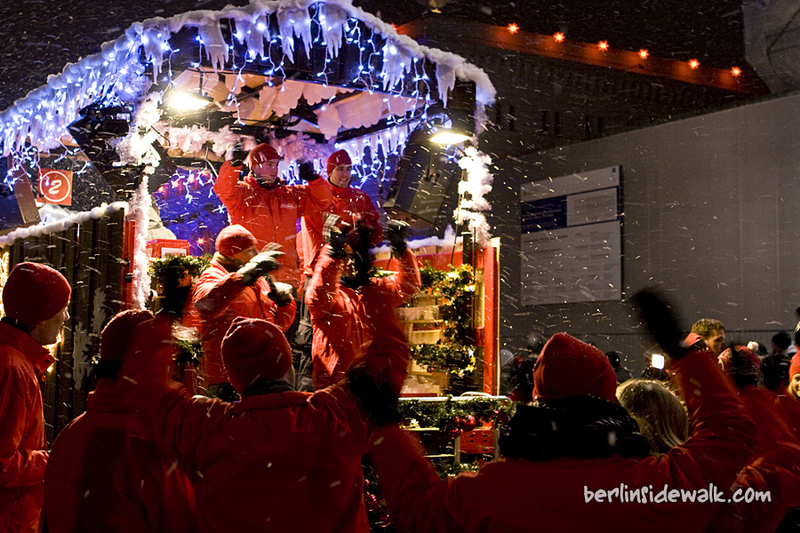 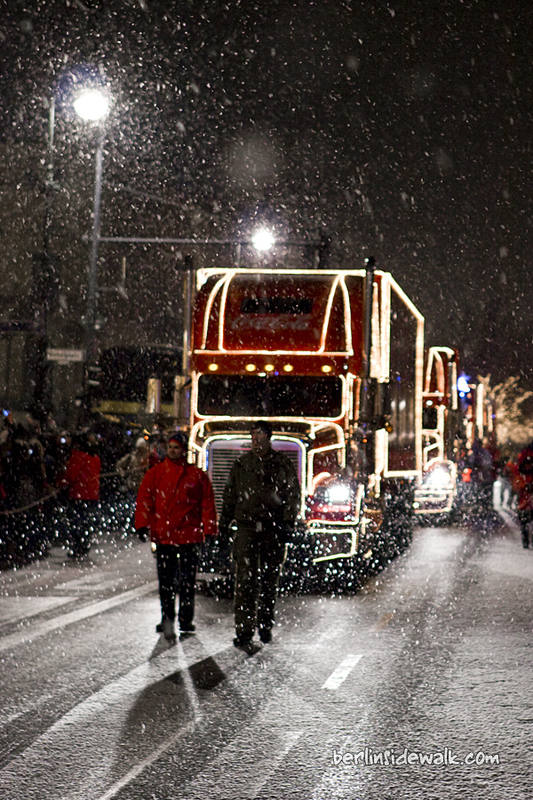 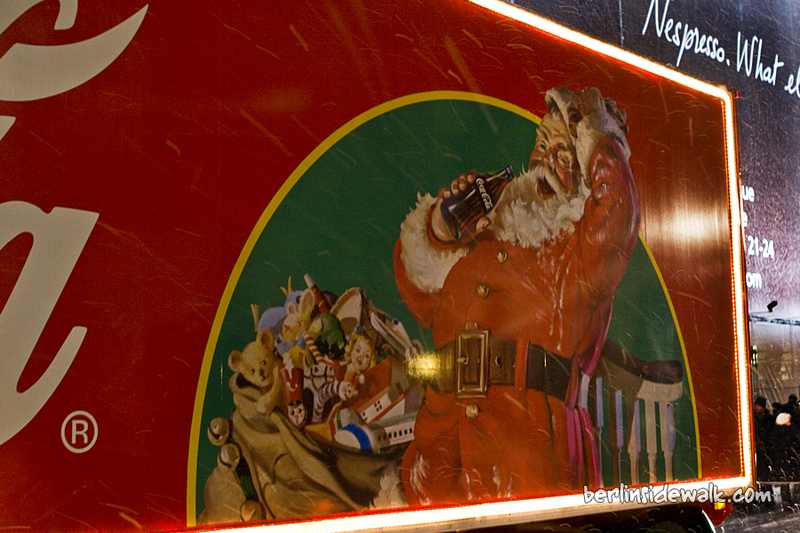 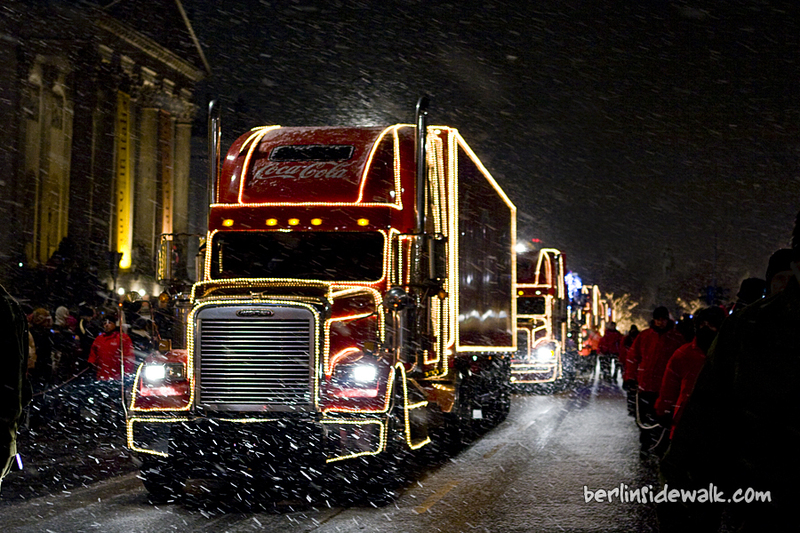 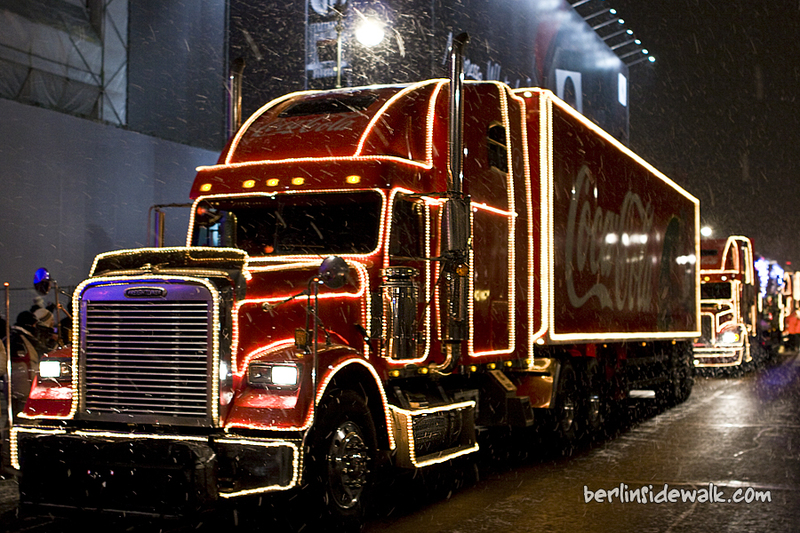 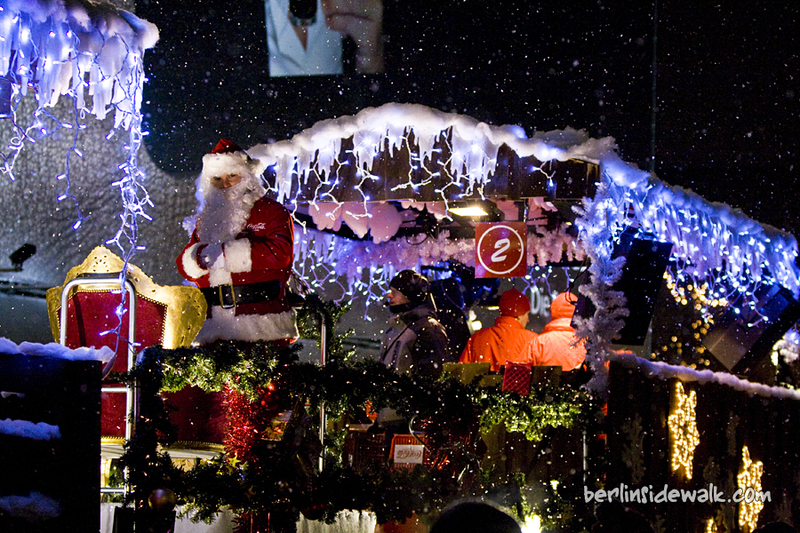 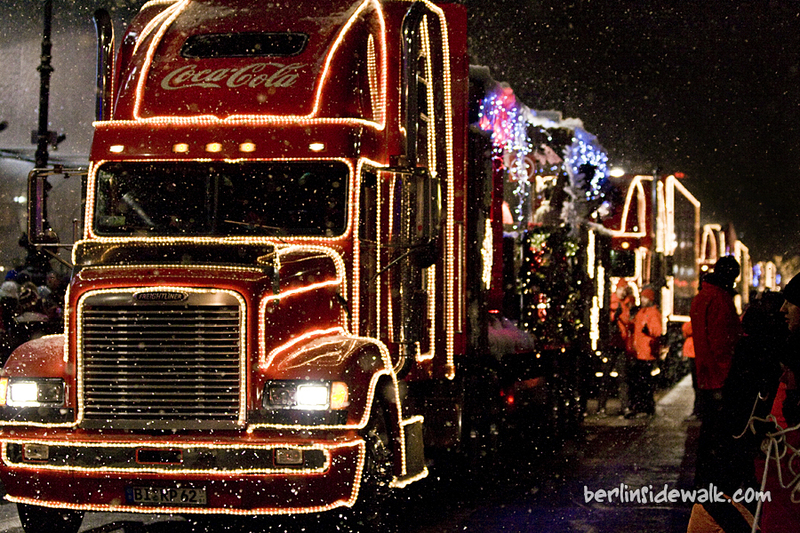 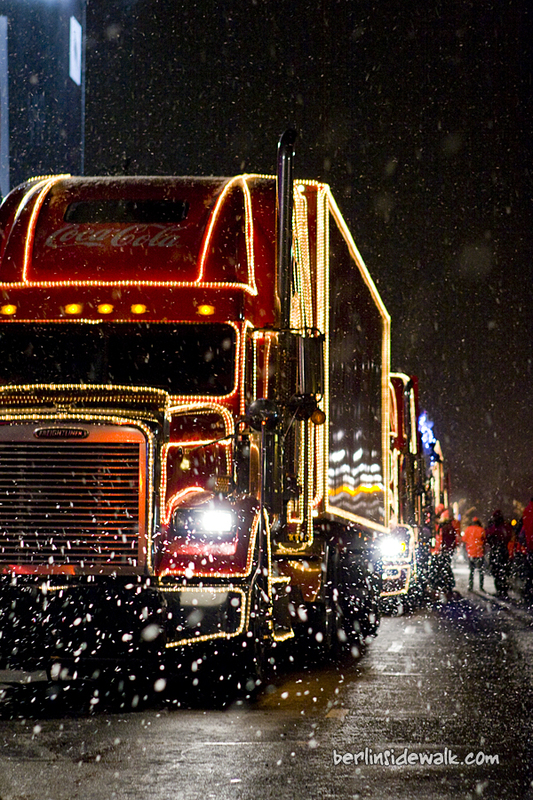 Like every year, the Coca Cola Christmas Trucks were on a tour through every major city in Germany and the final parade was held in Berlin yesterday. 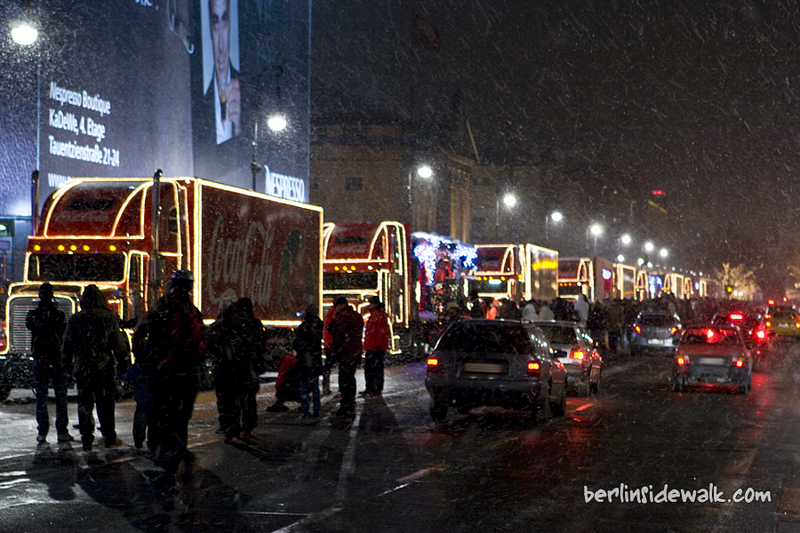 Ten trucks with four stages and a snack bar to buy Bratwurst and Glühwein against the cold. 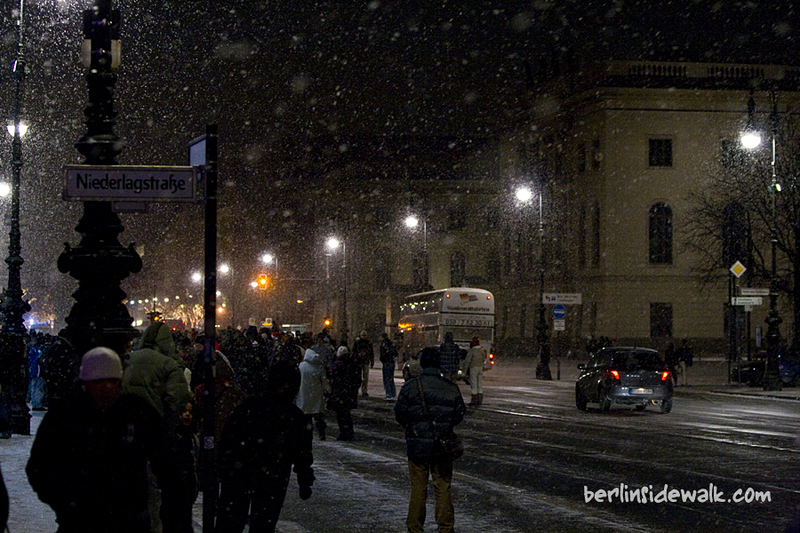 With -16°C (3.2°F) and heavy snowfall, it was the coldest day of the year. 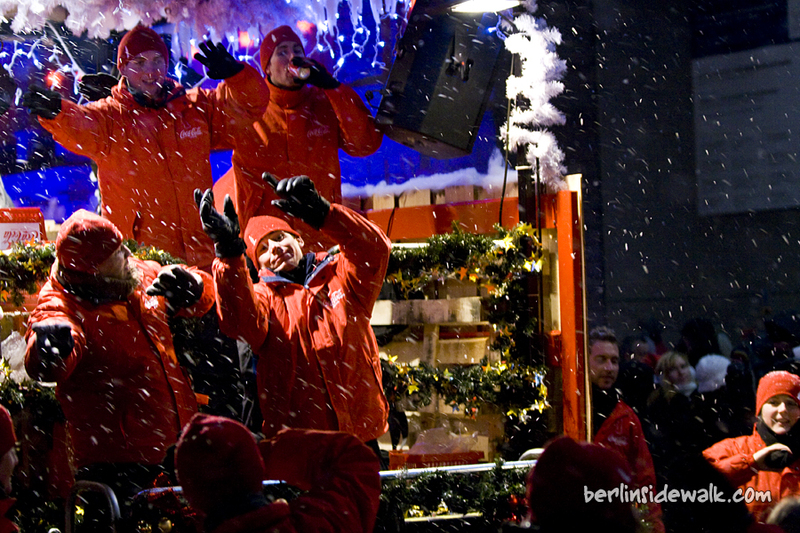 But that was not a real problem and thousands of people were following the parade on its way from the Kurfürstendamm, via the Potsdamer Platz and the Brandenburger Tor to its final goal, the Rote Rathaus Berlin.